Fire-Rated doors can withstand fire for specified periods of time, and are required in all condominiums and office buildings. 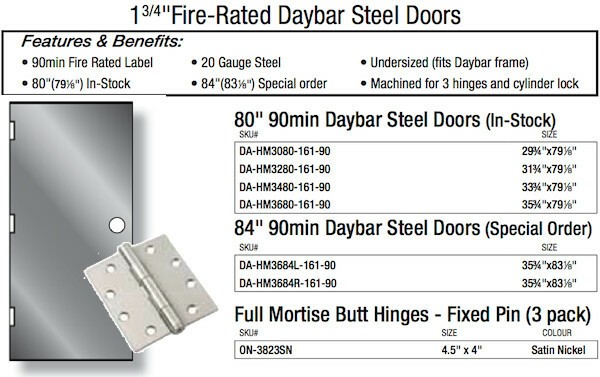 We offer 20, 45, 60, & 90-minute fire rated doors. Fire rated doors can be either wood or steel depending on the specific rating required. They are required to be self-closing, self latching and must have a door closer. We can help with the entire package, choosing the suitable metal or wood door, the frame or jamb and even with the fixed pin hinges.